30" Swing Metal Lathe | Summit lathe | big spindle bore 5"
Summit® 30”-5 Precision Metal Lathes have earned a reputation as heavy weights among mid-size lathes. They are ISO compliant, include a wide array of features and accessories as “standard” and offer a variety of built-in safety features. 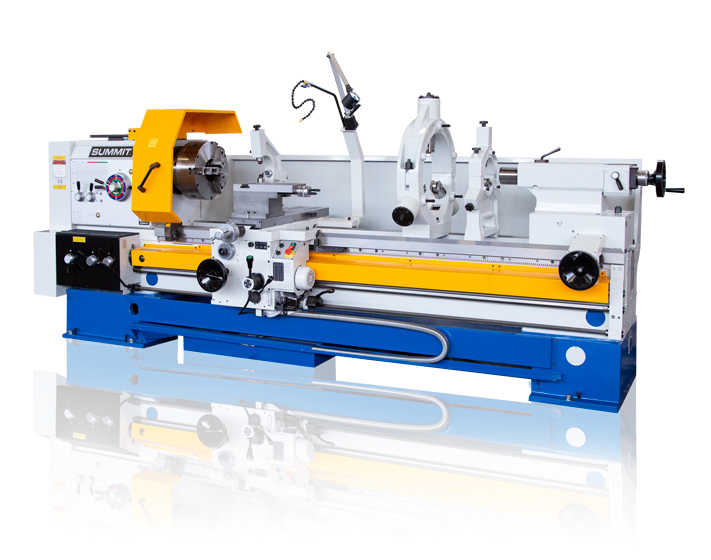 Engineering innovations make the Summit 30”-5 series one of the easiest precision lathes to operate in its class, while producing pinpoint accuracy for the finest finishes. In addition to calculated precision and total control, Summit 30”-5 metal lathes offer the bulk and horsepower necessary to effortlessly take on the heaviest chip loads. Standard on each machine is a quick-change gearbox for cutting inch, metric, module and diametrical pitch threads without change gears. Shipping weight (approximate) 10,780 lbs.